Add this chic t-shirt from TCP to your little one's casual wear collection to elevate her unique style. Beautifully crafted from high quality fabric with a embellished pattern, this round neck short sleeves t-shirt is attractive. 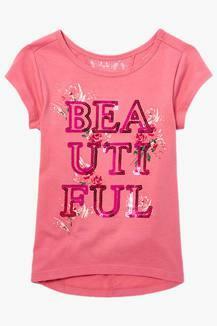 Let your little darling bring out the fashionista in her with this trendy t-shirt from TCP. Pair this with jeans to look cute.